During its convention earlier this month, the Ontario PC Party passed a resolution calling gender identity “a highly controversial, unscientific ‘liberal ideology'” and pledged to remove all references to gender identity theory from the provincial curriculum. Premier Doug Ford later backed away from the resolution, claiming that it would not become official government policy. but for many the damage was already done. Similar policies have been enacted elsewhere, with plenty of attention on bathroom legislation. There are plenty of reasons why these bills continue to be tabled, one of which is ignorance of the issues associated with trans rights. 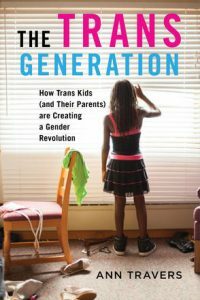 That’s why books like Ann Travers’ The Trans Generation: How Trans Kids (And Their Parents) Are Creating a Gender Revolution can be so important. A sociologist at SFU, Travers spent five years interviewing trans kids and their parents in researching the book. The result is a unique insight into the realities of trans youth that is both informative and engaging. At the same time, it looks at the disparities in representation within the trans community and sheds light on how to build more inclusive environments. In this episode of the History Slam, I talk with Professor Travers about the book. We talk about conducting interviews with kids and their parents, the trans rights movement, and the social markers associated with gender. We also talk about biology and gender, opposition to the trans community, and the importance of treating everybody with dignity and respect.